Welcome To The Roosevelt Raceway Memorial Website. A Tribute To 48 Years of Great History, Excitement And Memories. The Roosevelt Raceway Memorial is Proud To Host Over 50 Pages of Photos, Multimedia Files, Audio Clips And Memories of This Great Racetrack. Check Out "The Winner's Circle", Featuring Horses At The Finish Line And/or The Winner's Circle. Plus, Visit Memory Lane And Relive The Memories And Excitement With A Special 5 Page Tribute. Thanks To Mike for the above picture. Update: January 26, 2019 At 9:50AM. We are renovating the website and expanding it! We Expect all major areas completed by Monday January 28, 2019! 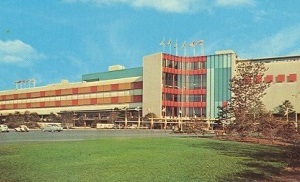 While renovations continue, the site will work as usual. The site will feature new archives, new materials and expanded features! The Exhibits Archive is being completed. 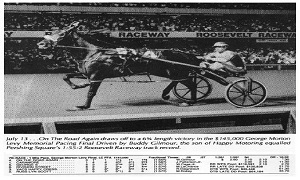 Throughout the years, we acquired some Roosevelt Raceway memorabilia for our archives and all of us wanted to find a way to present the archives to you, the racing fans. The Exhibits page will not only display the memorabilia but also share the memories and facts in relation to the memorabilia. When renovations are completed by January 28, the first pages will be available! 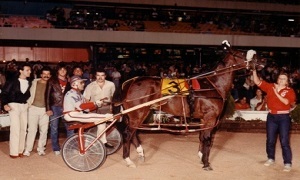 We are adding a new Guestbook which is close to complete and creating a new layout for the Photo Gallery, Winner's Circle And Stakes Archive pages. In addition, we are adding new photographs to the website which will be done during the renovation of the Roosevelt Raceway Memorial website. Roosevelt Raceway was and still is an important institution. 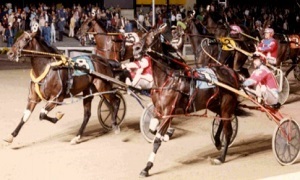 The raceway created and/or used innovations that proved to make racing more popular such as the Twin Double, Exacta, Superfecta in the 1960s and in 1946, Roosevelt Raceway commissioned the starting gate, which saved the sport of harness racing, The Phillips Mobile Starting Gate. As promised, the Roosevelt Raceway Memorial is here to stay for generations to come. This memorial is growing and my wish is to preserve the legacy of Roosevelt Raceway and Horse Racing. We thank all that have helped us over the years to make this site possible and we look forward to hearing from all of you. © 2019 The Roosevelt Raceway Memorial. All rights reserved. | Photos by Fotogrph | Design by TEMPLATED.